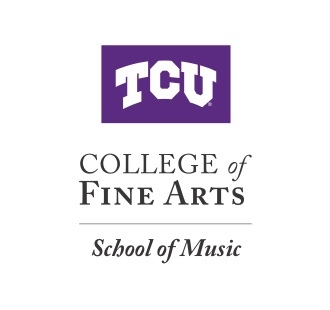 For entrance into the TCU School of Music and scholarship consideration, applicants are encouraged to audition in person before the TCU piano faculty. One prelude and fugue by J.S. Bach. One movement from a sonata from the Classical period. One representative work from either the Romantic Period (e.g. Chopin, Brahms, Schumann) or the 20th or 21st century. Length of audition is 15 minutes. All music must be performed from memory. Interested applicants will prepare repertoire as listed above. For pre-screening submission requirements, a minimum of two selections of contrasting styles should be submitted as part of the Audition Request Application. Learn more about the Nordan Young Artist Award program. Learn more about the piano program at TCU. A recording of a minimum of three stylistic periods should be presented, including a major work from the classical period. The recording must be a minimum of 30 minutes. All music must be performed from memory. A program of a minimum of three stylistic periods should be presented, including a major work from the classical period. The prepared program should be at least 60 minutes in length. Length of live audition is 30 minutes, followed by a 15 minute interview. Applicant must present a dossier at the audition which must include the audition program, a vita, and a repertoire list. *Final DMA Auditions are by invitation only following review of the applicant’s pre-screening recording and application materials.